The SPA offers a First class private service for one or two persons at the same time. Treatment starts in the Caldarium “the hot room” ...with or without steam. You lay on the warm marbled bed pleasantly heated from the oven under it. This surely making your time here a wonderful experience and increasing your feeling of pleasure during the full body clean and body scrub we offer here. When this is finished it is time to transfer to the Frigidarium “ the cold room”. 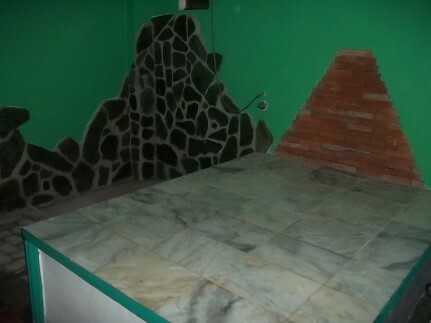 It features two marbled full length bath tubs and two massage beds as well. The girls will offer you cold drinks while you cool down in the tub. After cooling down in the bath…. it is time to start your relaxing massage on the bed. 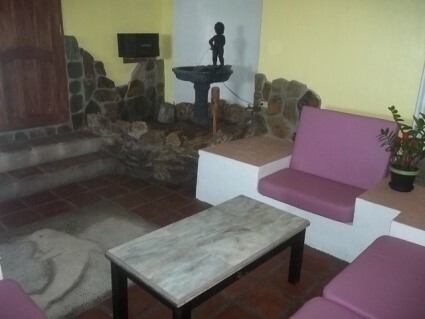 Basic treatment and entrance fee for your two our experience. Is currently 1800 Pesos/person ONLY!!! Please make your reservation well in time.We only operate by reservating made in advance. Opening hours is 2pm until 10pm. We offer singel or double massage at the same time. 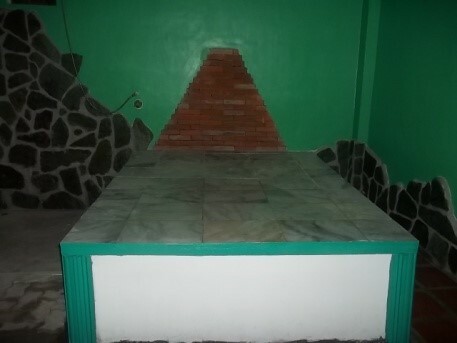 A perfect place for celebrating birthdays, honymoons or corporate outings. We accept groups and private parties. In order to serve you well please contact us in advance letting us know when and what you like. The ceiling is raised high making plenty of air for the Roman style columns painted in white and gold. 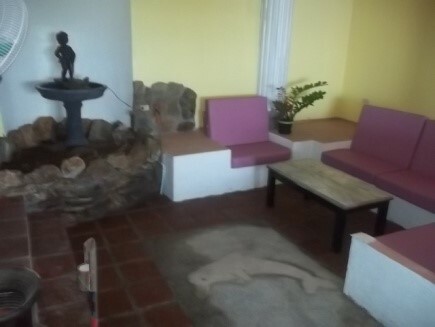 The floors has been made mainly using red clay bricks imitating the “terra cota” soil in Italy and stone pebbles creating a sea with dolphins. Marble stones are used for walls, table, flower beds and foundation for the Roman boy fountain. 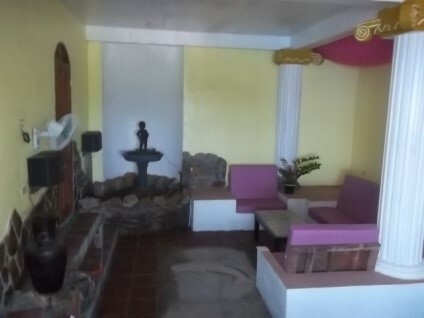 A truly pleasant place to be having manicure, foot bath, facial treatment or only relaxing with a drink listening to music. 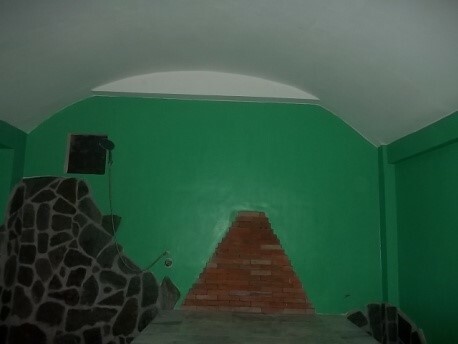 The Sauna/steam room has a rounded ceiling typical for the period. Red and grey clay bricks are being used as floor. The marbled massage bed is heated by a clay oven under it making the stone pleasantly warm, and that will gently warm the room as well. Temperature and humidity is increased if wished by heater on the side of bed. 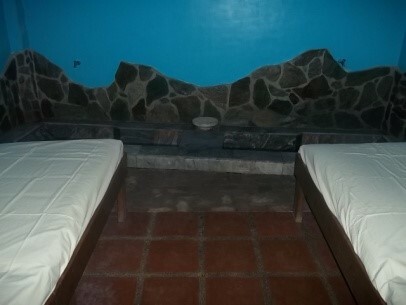 Our cold room has two massage beds and are cooled by Air conditioning. 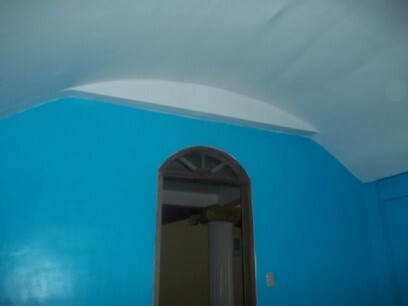 The ceiling is rounded in same style as the warm room and flooring has same style to. The two bath tubs is made of marble and fairly spacius. For many the cool clean mineral water from our well is cool enough and no need more cooling. Probably better only a cold drink and a bit of masage afterward making your time perfect! 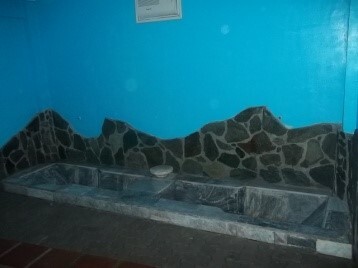 This SPA was created from memories during the early 80s. I was then working as a tour guide in eastern Mediterranean for some years. I visited many times a roman sauna/bath in a fortress named Masada located near the Dead Sea. It was made two thousand years ago by Herodes famed from the bible and fairly intact. That was my first Roman sauna and it greatly inspired this Roman dream SPA. Creating this Spa meant we had to make the temple ruins first and then restore the temple afterwards. Almost everything in the building is specially designed and hand made by our fantastic craftsmen. This includes everything from flooring, marble table, beds and bath tubs, lamps and lightning’s, seating’s, doors and windows, columns, double ceilings... and the list goes on. I do hope you will enjoy this as much as I do. Best wishes Alf & the staff.